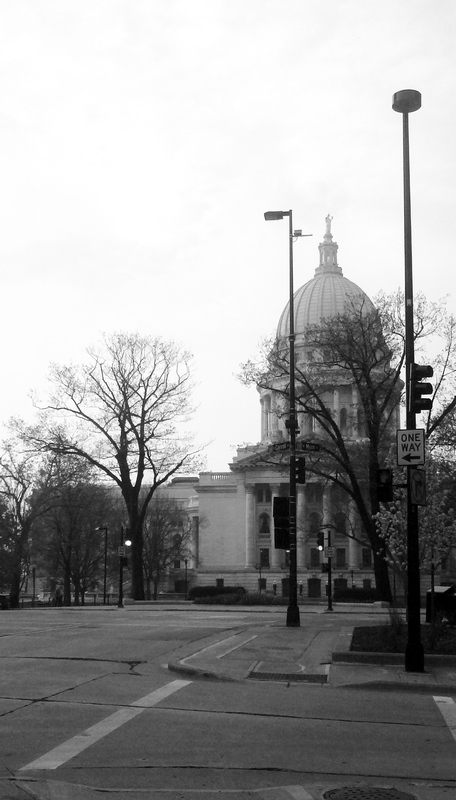 This category deals with dining and food products found in Madison, Wisconsin. This is where I am fulfilling my undergraduate degree at the University of Wisconsin. 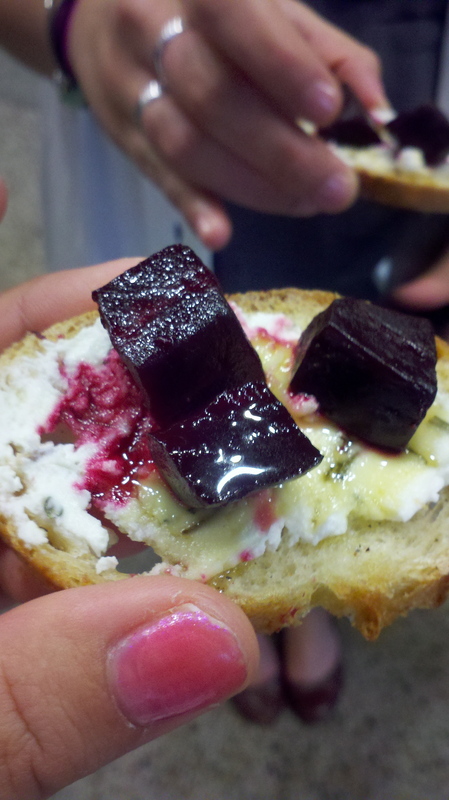 I have avoided blogging about the Slow Food UW Cafe because it is my stomping grounds and makes me a bit biased. However, that also allows me to give a good insight of what is worth stopping by and can give that insider heads up. The SFUW Cafe is now a year old and my involvement is coming up on a year as well. We have grown enormously and are finally a group of scrappy students that are able to get the good, clean, fair food down pat. The Cafe is made up of a group of dedicated and incredibly creative students that enjoy working with foods, farmers, and the Madison community. We are a project within the larger Slow Food UW organization that strives to change the way people view food through a cafe, a set meal, outreach events, csa type baskets and volunteer work with children. We all strive to promote food advocacy and transparency along with food justice through simply chowing down on a divinely delectable dish. 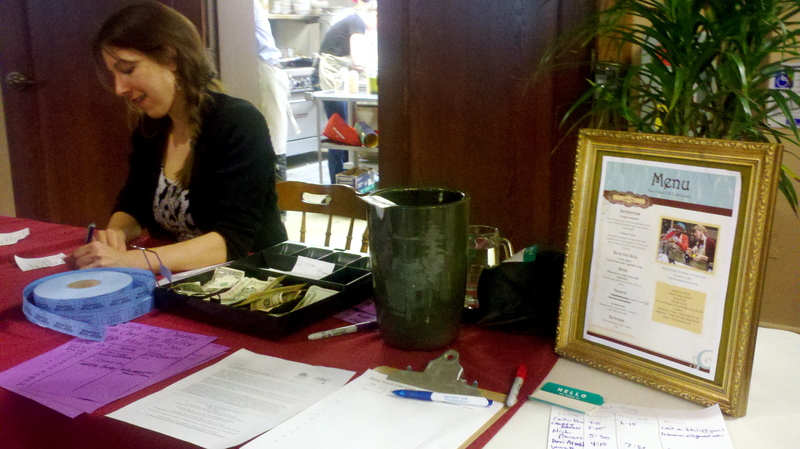 The SFUW Cafe, for now, is once a week changing the menu to reflect the local produce and meat products. The semester is half over and the summer is slow for the SFUW interns so take a study break and head over during the 11:30 a.m. till 2:00 p.m. service. It’s an a la carte menu that let’s you pick and choose to enjoy an affordable lunch. 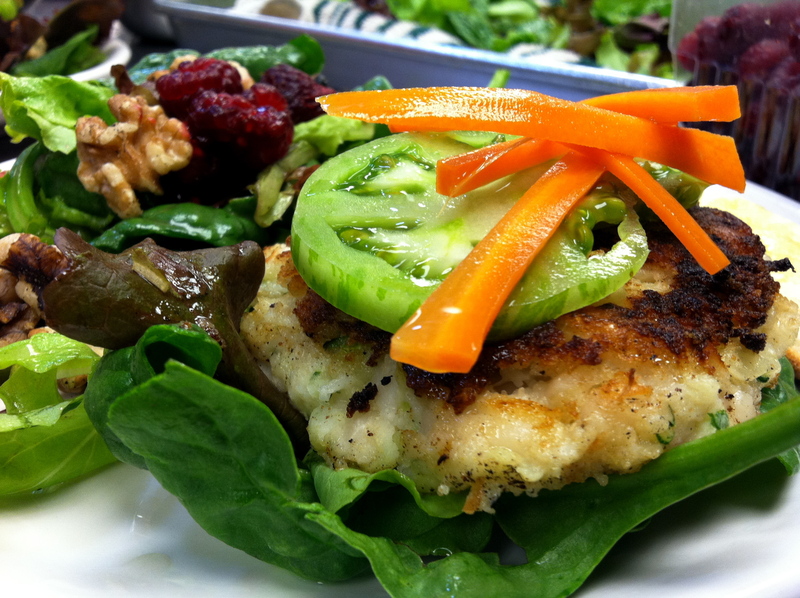 Feast your eyes above to visually enjoy the white bean and zucchini vegetable burger with cucumber tomatoes and carrot sticks. The burger was served over Snug Haven spinach and the side salad was mixed greens with walnuts, raspberries and a house made raspberry vinaigrette. This sando kicked off the 2011 fall semester and is still wildly raved about. 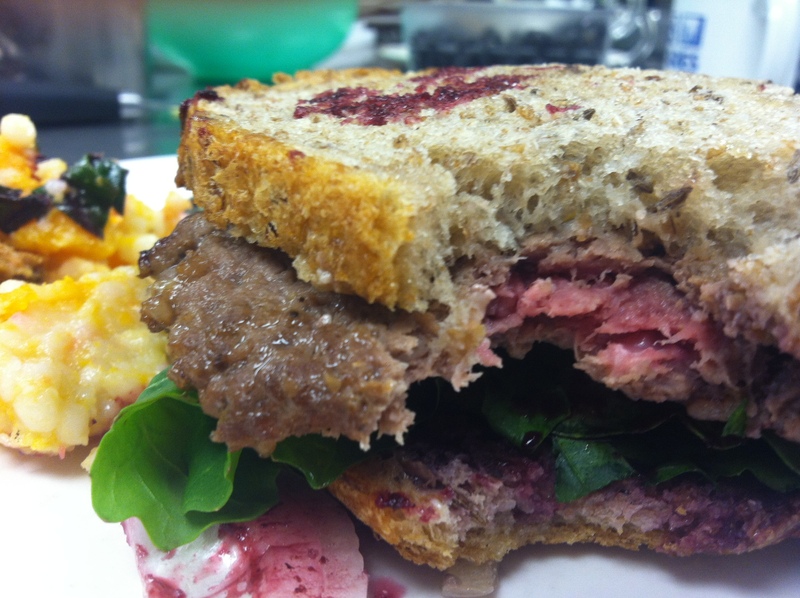 The bison burger that changed my life. One thing that the SFUW Cafe tries to do is offer a meal that our customers would not make on their own or be able to experience elsewhere. The meat is something our suppliers research to offer the cleanest and purest meat. I have grown to find myself a vegetarian except for while under the Slow Food UW roof and am not finding myself the only one making that claim. The entrees in the Slow Food UW Cafe are always mouthwatering but we don’t stop there. Our group of student chefs know how to satisfy every sweet tooth that comes into our cafe. These are a vegan approach to dessert which helps give a new twist and pleases our growing number of vegan customers. 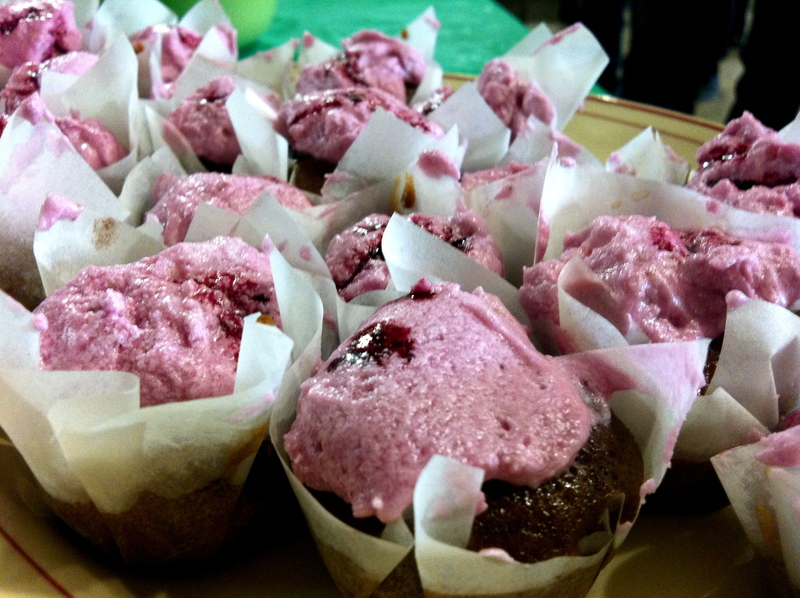 The cake is topped with a lavender frosting and berry vegan anglaise. This upcoming week will feature a duck prosciutto with mustard greens sando on our own rosemary, fig and olive bread. The second sando is following suit with pesto and sun-dried tomatoes with homemade mozz on the rosemary, fig and olive bread. To accompany or for a small snack there is a roasted fennel salad with olive tapenade and a balsamic glaze or a grain, feta and Russian red kale salad. This week we are trying a fish soup as well as a white bean soup. And finally we invite you to end with a semolina cake with orange whipped cream and as always will offer our Just Coffee regular roast and a selection of teas. Beyond offering good food we also have our customers help make the food and make a difference. Follow our social activity and join the movement. The to-do list of a foodie. I have been accepted into my major and have one year that ties me to Madison, after that the possibilities are endless but if anything may buy me more time to accomplish the ultimate to do list. I came across this on André Darlington’s blog and have made a few additions. With a family full of foodies and always looking for an excuse to consume good food, I doubt this will take long at all! It’s March 1st, a wonderful month to start chowing down since the weather is warming up and midterms leave you high and dry, what better than to feast! 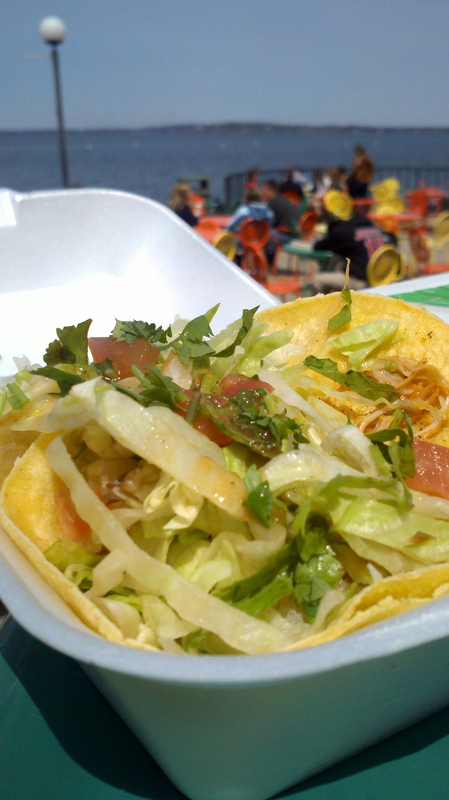 On the corner of Williamson Street and South Few Street is home to one of Madison’s best local eats. The group of friends operating this eclectically decorated establishment stocks the kitchen and walls with local ingredients and items allowing them to support a long list of farmers and food purveyors. Their breads are crafted in the lower level allowing them to provide the freshest accompaniments to their outstanding sandwiches. If ordered a few days in advance Chef Joey may even let you take a loaf home, as I have gotten away with a couple of times. Madison Magazine named one of their burgers, Bob’s Bad Breath Burger, as one of the best in 2011 Burger Madness competition. The pairing of cream cheese, caramelized onions, garlic along with green goddess dressing and a mild pickapeppa sauce sounds intimidating but upon your first bit you wont want to turn back. The pan-fried Yukon gold potatoes as a side to any dish are coated in garlic that give it a bit of a kick and make it hard to share, with anyone! Beyond the award winning burger the rest of the menu is nothing but well crafted pairings of amazingly fresh ingredients. A few more recommendations for any traveler stumbling through the doors is the West of the Andes sandwich, with tuna! I, myself, am not a huge fan of tuna but the combination of the other flavors strike gold. There is also a large variety of vegetarian or vegan options that would satisfy any tastebuds and all menu options are available for a reasonable price. When dining at Weary Traveler you are among the best Madison has to offer an in the heart of our local scene located in the middle of Willy Street. Just a block away is Willy Street Co-op if you dare to eat anymore and the couple of blocks that make up this neighborhood are perfect for a summer, spring, fall and even brisk winter stroll. Try not to get too lightheaded and weary when you sample the food but rather grab a seat and bon appétit with the best. Upon first appearance you may be worried you pulled up to someone’s quaint summer home but notice that the added cars and pairs of customers meaning you have reached your destination. 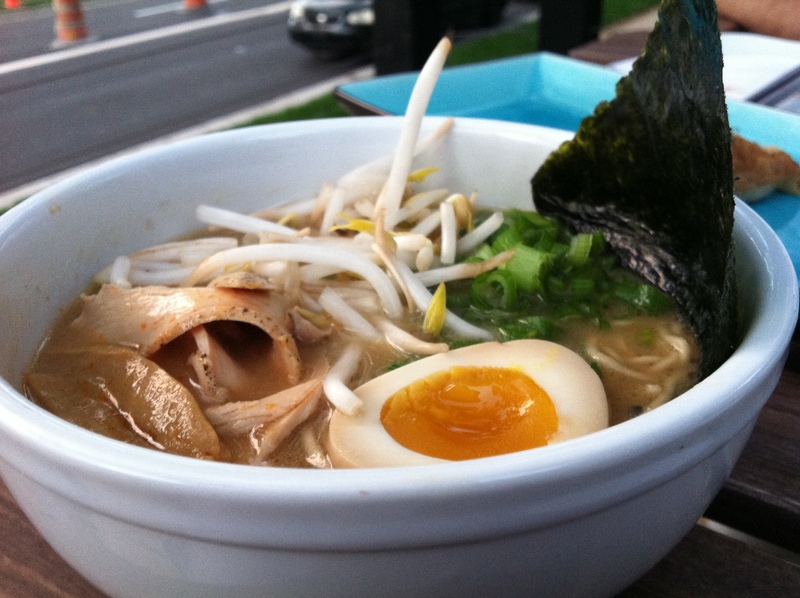 Umami Ramen and Dumpling Bar opened this fall and has had great success minus a small kitchen fire that postponed business for five days. But have no fear they are again up and running and ready for you! After venturing through China this summer and sampling each cities delicacy I was craving some good asian cuisine that was hopefully nothing like the endless supply of Chinese buffets scattered all over the U.S. My first experience at Umami was with my father who like me has a craving for good food, especially ethnic foods that truly follow their roots. A few of our favorites that had me back weeks later with my summer traveling friends were the pork buns, traditional miso and the green tea crème brulee. The chef offers specials and alters the menu every few weeks to keep up with the local seasons but it is rare you will leave disappointed. 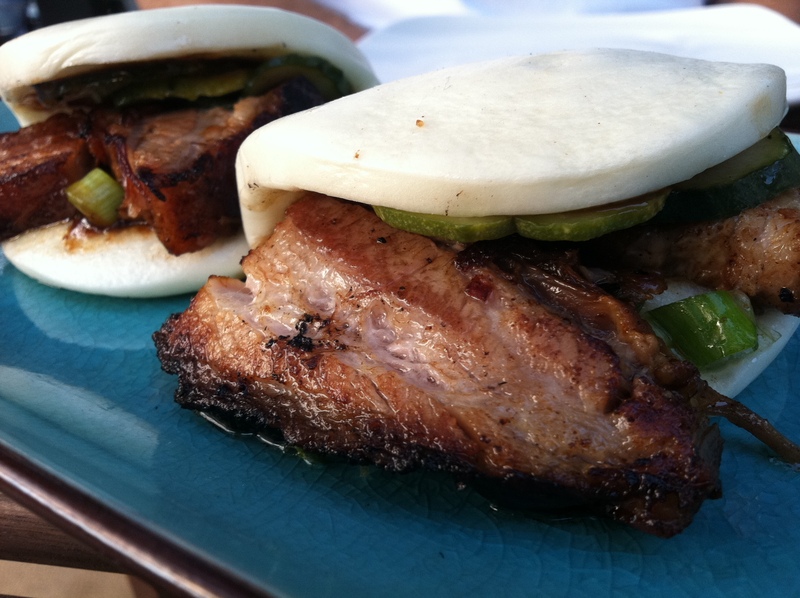 The pork buns are like tender cuts of pork on sweet pillows that do not come close to comparing to an average “bun”. The pickled vegetables also add a nice crunch. The miso is stocked full with vegetables and traditional ingredients that is not as salty as many other ramens found in the U.S. Finally the green tea crème brulee is absolutely outstanding. Like many other crème brulees it is not overly sweet and the green tea adds an earthy flavor that isn’t found in most deserts. The rest of the menu is very good and there is a well crafted selection of beer and cocktails. Just a few blocks from the Capital square so head over to enjoy its unique flare any season, bon appétit. My mom’s most recent fix this summer is Kombucha, a fermented tea with health qualities and a fizzy kick. She first fell upon this in Fish Creek, Door County at the Getaway Car Juice Bar. Mary of Getaway Car has became quick friends with my mother and soon me, after our day trip to Door County. I have Mary to thank for starting this rapid forming crush on Kombucha in both my mom and me, as well as our close friends. The Getaway Car Juice Bar is the epitome of my dream café, tucked away between tall trees providing shade along the lake shore as well as tasty juices and smoothies to accompany her all natural baked goods. Beyond Fish Creek the upper peninsula of Wisconsin is where various Door-delis and cherry picking farms reside becoming a home of good, fair and natural foods or products for Wisconsin and other travelers. The weeks after tasting the first sip of Ginger Kombucha in Door County now created a search for more homemade Kombucha. After research we discovered Willy Street Co-op is the proud seller of NessAlla’s Kombucha made in the basement of The Weary Traveler. Willy Street, properly known as Williamson Street in Madison, is the few block district that is home to many uniquely local establishments that know how to deliver good coffee, great food and fun art plus much more! On my way back to Sheboygan this weekend my mother had me stock up big time on some of my new favorite flavors. If you’re trying it for the first time I recommend going for a ginger mix as most places will supply something along these lines. 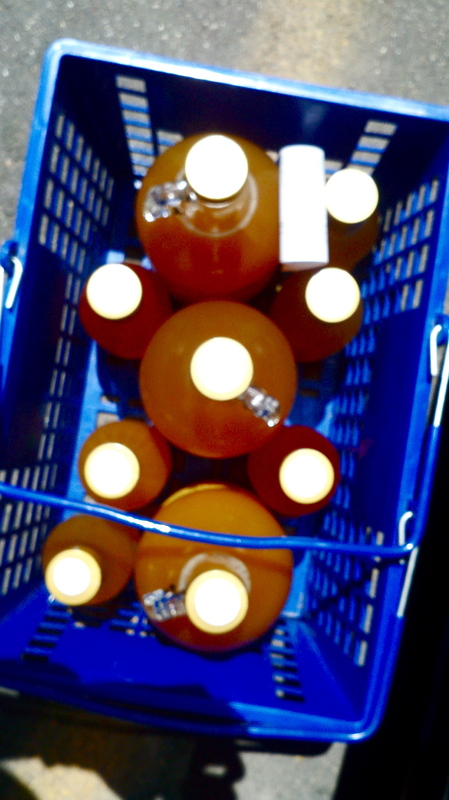 Although various Kombucha brewers will get creative so feel free to try what looks pleasing. NessAlla is a Kombucha making company that has five fermenting locations in Wisconsin and six in Illinois. The NessAlla company started with two friends, Vanessa and Alla, who brought their knowledge and love together to start a thriving health company. They host events along with having a wealth of facts on their website. Follow them on Twitter, check out their Facebook page or do whatever to get involved, I know I have. This stuff tastes great, does great things and is sweeping the nation at a great speed. 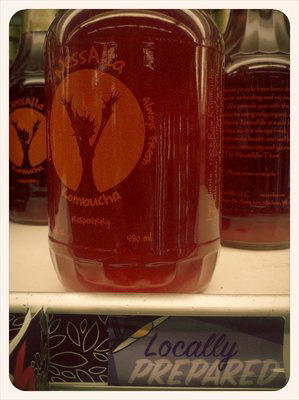 Beyond NessAlla there are ways to search out your own source of Kombucha or get creative and make it yourself? Fun fact you start with a scoby but the rest is history for me, hopefully I’ll be able to update you all on my Kombucha making adventures someday. Bon appetit to nature’s cocktail. This post is a bit delayed because after my wonderful meal at Nostrano I hopped on a plane off to Beijing to start my month of traveling around China. However, that does not deter from how this post may leave you wanting to run as fast as you can directly to Nostrano’s matre’d asking for a table! I first heard about Nostrano from my sister who lives in Chicago. She has had the privilege of dining at Tim Dahl’s Chicago restaurant, Blackbird and also follows the extremely helpful, Tasting Table, an online food blog. Tasting Table did an article about the brand new Nostrano that Tim and Elizabeth Dahl planned to open in the culturally thriving Madison, a place to start a family but still have customers in their restaurant who truly enjoyed good food. This article started my love for Tasting Table as I now have “To-Do Lists” under each category but also left me eager to try Nostrano. 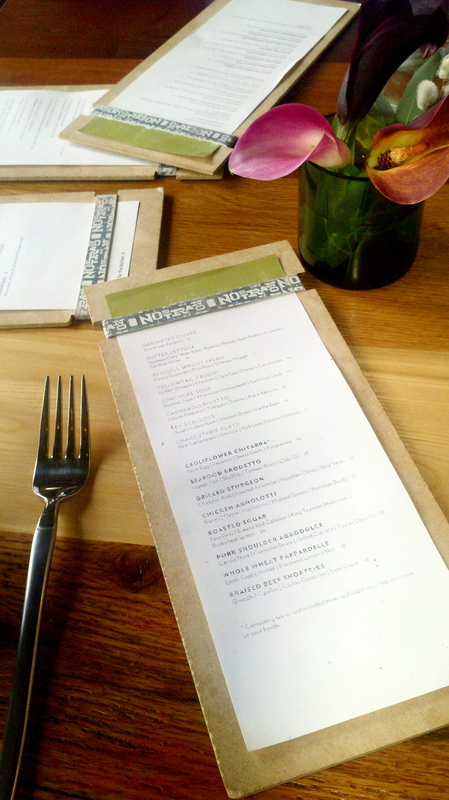 The perfect opportunity arose when my mom and I were trekking through Madison gathering last minute supplies for my trip abroad and also hoping to end the day with a belated Mother’s Day meal… therefore time to dine at Nostrano, and explaining the title of this post. Along with my beliefs on local sustainable foods I also like to think everything happens for a reason. Thanks to my sister living in Chicago and eating at great restaurants along with reading Tasting Table and sending it my way, I was now able to feast like a God. The menu is small, which is how I prefer it, and it was filled with extravagant options that allowed me to realize the chefs must LOVE cooking under the Nostrano roof. We started with the Marinated Olives with Sourdough Focaccia bread that was great to dip in the olives’ oil. There was also a butter lettuce salad that my mother enjoyed so much she almost licked the plate after. The amazing flavors combined had a freshness in each bite. 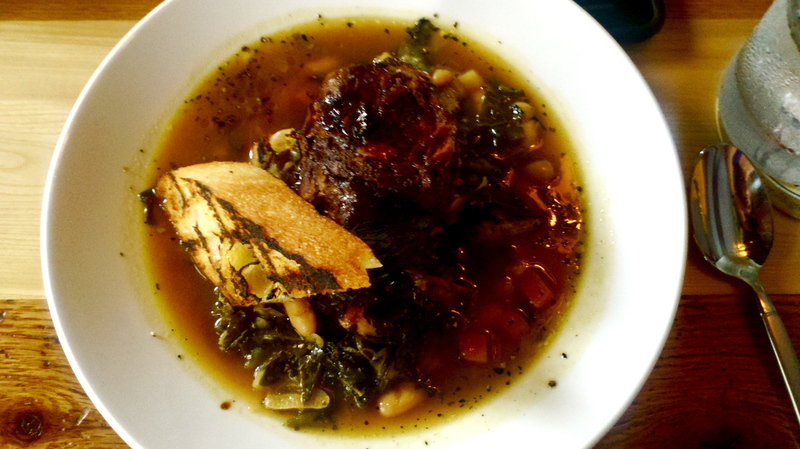 For the main meal I choose to splurge with the Pork Shoulder Agrodolce that was served with cannellini beans, cavolo nero or kale, and a piece of grilled ciabatta resting on top. My mom was surprised that an ex-vegan would choose a pork shoulder entrée but I am so unbelievably glad I did, and so was she!! The meat was cooked to perfection as it fell to pieces with the poke of my fork allowing all the other ingredients and flavors to mix in the bowl. I was reluctant to share but with the friendly portion served I wouldn’t of been able to clean the plate on my own. 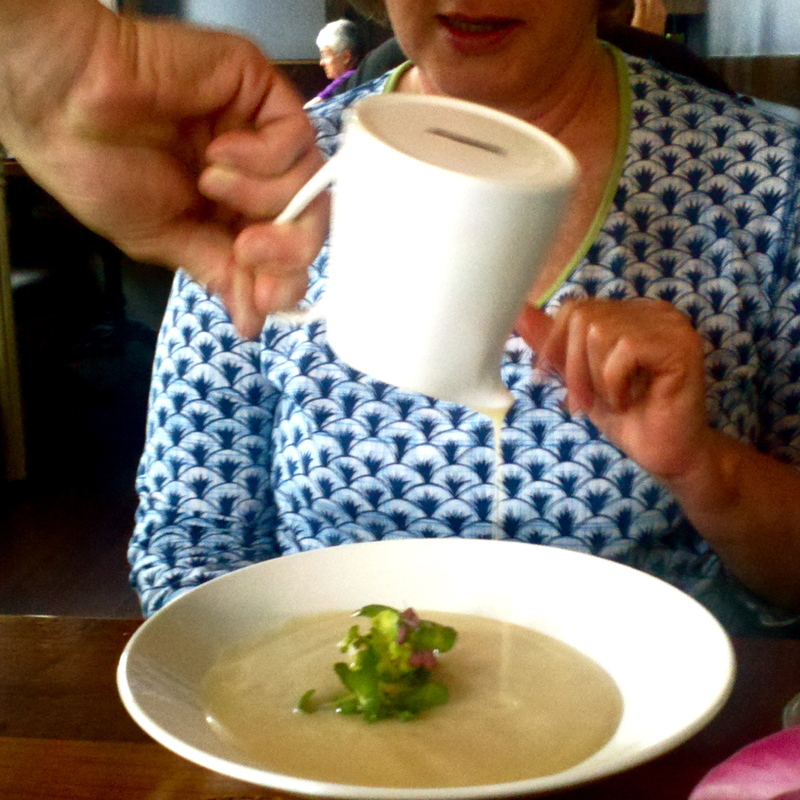 My mom opted for something a little lighter as she ordered another butter lettuce salad to go along with the Sunchoke soup. They brought over a bowl with a small jar and pouring the piping hot soup right in front of us and added a small garnish of sunflower sprouts. 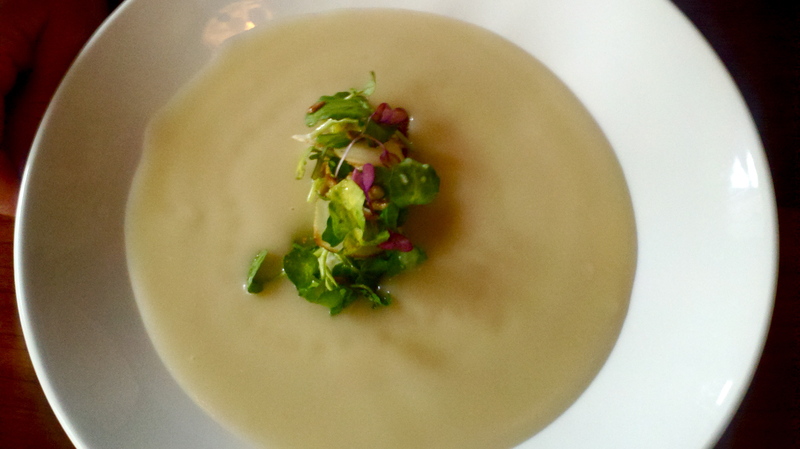 I must admit this was the most elaborate presentation of soup, and the flavor fell in line as being smooth and exquisite. We were beyond full at this point but as dessert was being explained to us I magically made room for some good chocolate lovin’! We sampled the Crema which is explained on the menu as milk chocolate cremeux, malted barley pizzelle, brandied cherries and lambic gelato but I would state it simply as heaven on earth! Three hours had now passed, the restaurant was full and our waiter was our new best friend. As one last meal before leaving the country I was beyond satisfied with our choice. A fun fact to go along with the great meal is that Nostrano actually means local allowing each employee to pride them-self on promoting the slow food idea by serving uniquely amazing meals. 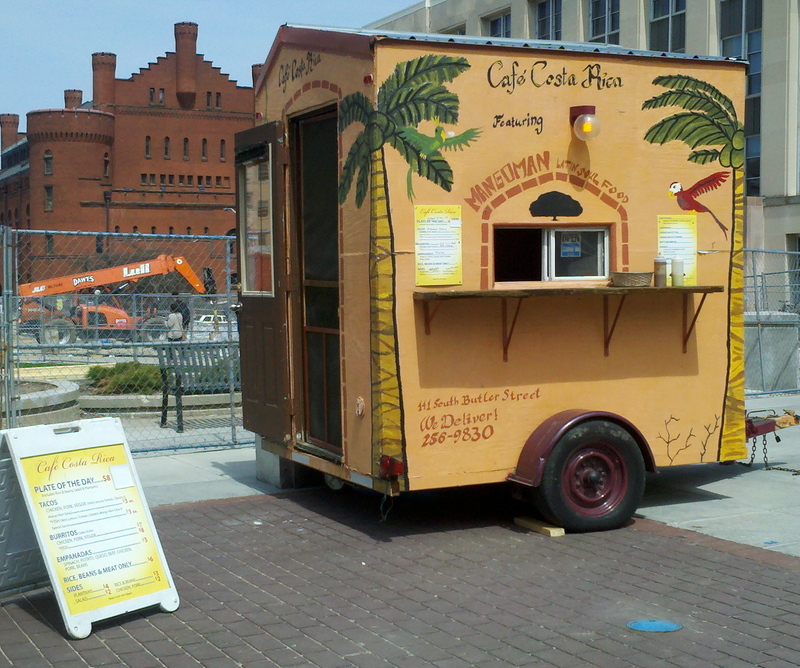 Bon appetit and hurry over to the corner of South Hamilton and Main Street on the Capitol Square in Madison. Here is a look at Terra Madre “an international network of food producers, cooks, educators and students from 150 countries who are united by a common goal of global sustainability in food. The “food communities” of Terra Madre come together biennially to share innovative solutions and time-honored traditions for keeping small-scale agriculture and sustainable food production alive and well.” (Collected from the Slow Food USA website, http://www.slowfoodusa.org/index.php/programs/details/bringing_terra_madre_home/). Food has been a part of all cultures since the beginning and how has it evolved over centuries? Is food a commodity, is it losing the basics characteristics of being natural, good food? Advancements help a culture grow but what is too far? Chilling with Mango Man himself! Well hello all my hungry readers!! With finals approaching oh so fast I have been a busy bee trying to keep up with Madison’s academia. But of course I always find time to feast on yummy treats, like Cafe Costa Rica‘s divine Caribbean, Mexican flared cuisine inspired by Mango Man’s unique recipes. (To clarify quickly the chef of Cafe Costa Rica goes by Mango Man and is the cutest/hippest Jamaican shaken chef I have met!) I have blogged about Cafe Costa Rica before but have not had the chance to sample their food, seeing that it was part of my foodie bucket list, I was excited to cross it off the list. My favorite part about The University of Wisconsin campus is that when the sun shines it seems to, quiet literally, come ALIVE! 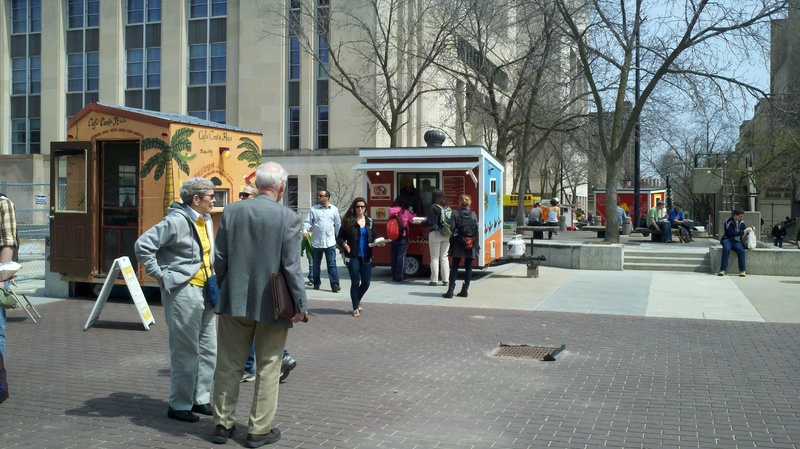 Library mall is filled with the popular food trucks the second the snow is cleared and this year we have been able to sample from a few new ones. 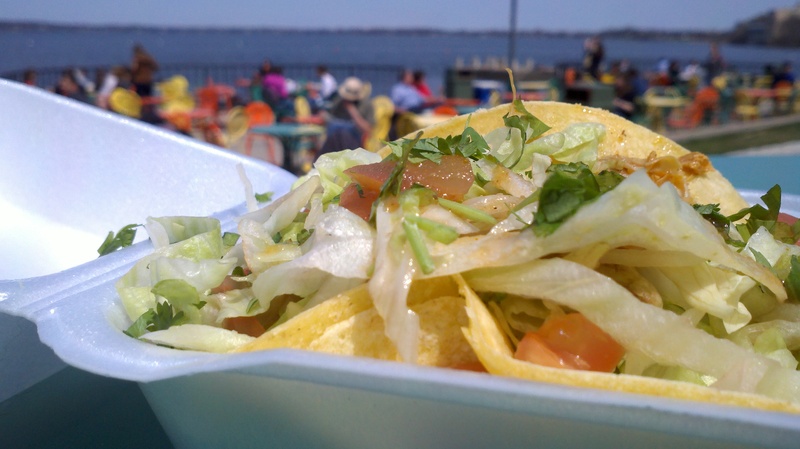 I have not had the time or cash flow to hit all the new hot spots but Monty’s Blue Plate Diner, the vegan Dandelion Food Cart and many more including Cafe Costa Rica have caught my eye. I was running off to study at the terrace and decided to grab a snack from one of the few items on Mango Man’s menu. He recommended the chicken taco with rice and beans and even convinced me to add some sizzling hot sauce. I scurried off to the terrace to get some quick reading done, but as could have been predicted I found happy students and jealous community members had the same idea. Check out the pictures, mind the construction and try not to drool but most importantly, bon appetit!! Slow Food is a style of cooking that originated in Italy and is the process of using natural, local food products as well as cooking all items from scratch. This promotes healthy and delicious eating as well as supporting those local farms and businesses. Slow Food has become more than a way of cooking and living but instead a full movement here in the United States as well as around the world. This movement started in 1986 by Carlo Petrini and has been a way to fight back against the rapid increases of fast food. As a student on a liberal and progressive campus I have started to become involved in The University of Wisconsin’s Slow Food chapter. This involvement hasn’t asked much from me except to enjoy unique and tasty food as well as giving back to the community by joining the movement. 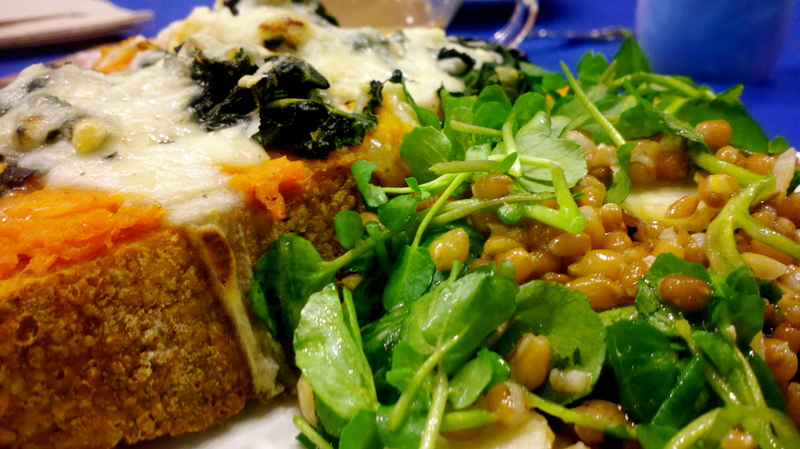 UW Slow Food has family dinners once a week like many Slow Food chapters but has also started a Slow Food café with lunch served on Wednesdays. This is not your typical café and when I try to explain this to my friends the end up lost. 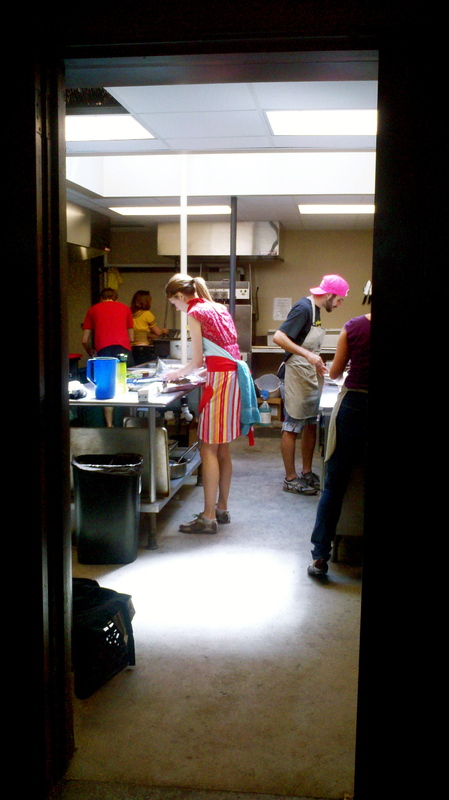 The way it works is all the food is prepared from scratch on Monday and Tuesday and come Wednesdays, from noon until two, anyone has the opportunity to stop at The Crossing on campus and enjoy that weeks meal. All you do is show up, order from that weeks menu and wait until you are able to enjoy your scrumptious meal. Typically they call your name and you’re invited to enjoy the meal with all the other Slow Foodies but if your like me and on your way to class they will gladly wrap it up for you. I sampled the vegetarian Garbanzo bean sandwich including an olive tapenade with arugula and homemade ricotta cheese between two pieces of homemade walnut sourdough bread. 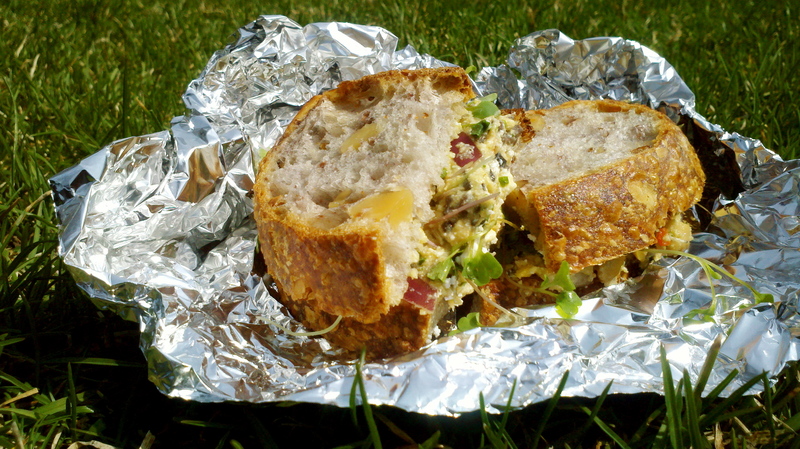 The sun is finally shining so I hustled over to Bascom hill and enjoyed a piece of heaven. I also snatched a piece of hearty carrot cake with cream cheese frosting before they disappeared. With the semester almost over I am a little embarrassed to admit that today was my very first UW Slow Food experience but am beyond confident that it will not be my last. So if you’re interested let me know, I can always use a friend to enjoy the Slow Food atmosphere on campus. Slow down your food and bon appétit!